Get the unglazed, textured Studio E Edgewater 7-7/8 in. x 1-5/8 in. 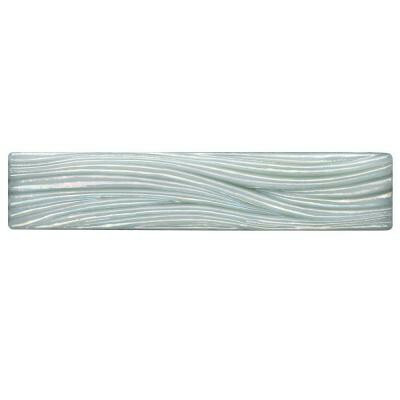 Currents Abalone Glass Liner Wall Tile to add a stylish, functional finishing touch to your walls. Comprised of recycled bottle glass, this tile was melted, cast and cut by hand to create a distinctive appearance that is perfect for a wide variety of design styles, from traditional to contemporary. An impervious water absorption rating makes this eco-friendly tile suitable for indoor applications only. You can buy this product in our internet market. We will be glad if you make the right choice.